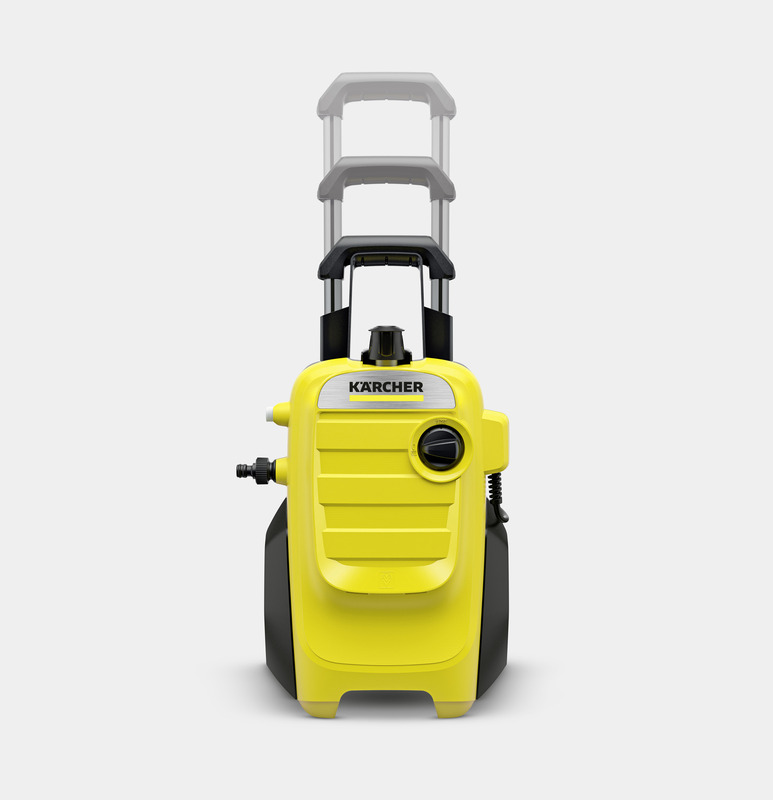 K 4 Compact 16375010 https://www.kaercher.com/ie/home-garden/pressure-washers/k-4-compact-16375010.html The Kärcher K 4 Compact pressure washer is powerful and durable - it's compact enough to be stored in a shed or car boot, with on-board storage for all the cables, hose and accessories. 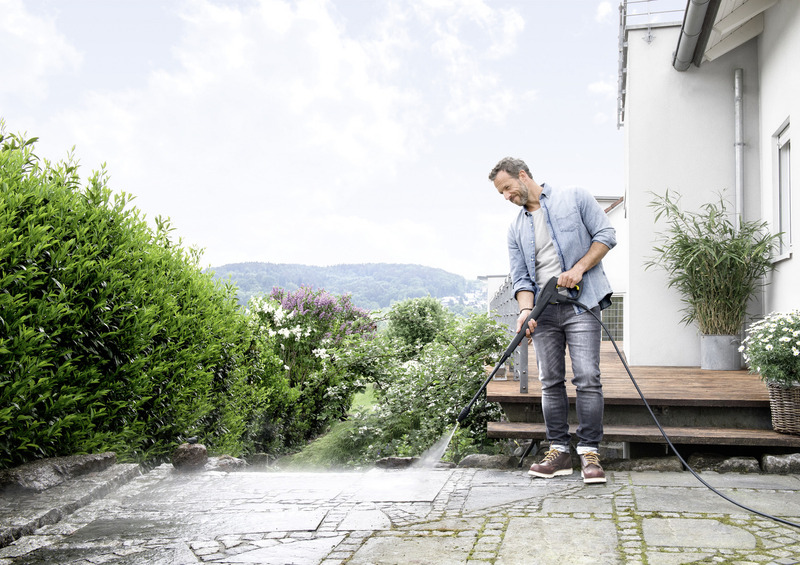 The Kärcher K 4 Compact pressure washer is powerful and durable - it's compact enough to be stored in a shed or car boot, with on-board storage for all the cables, hose and accessories. 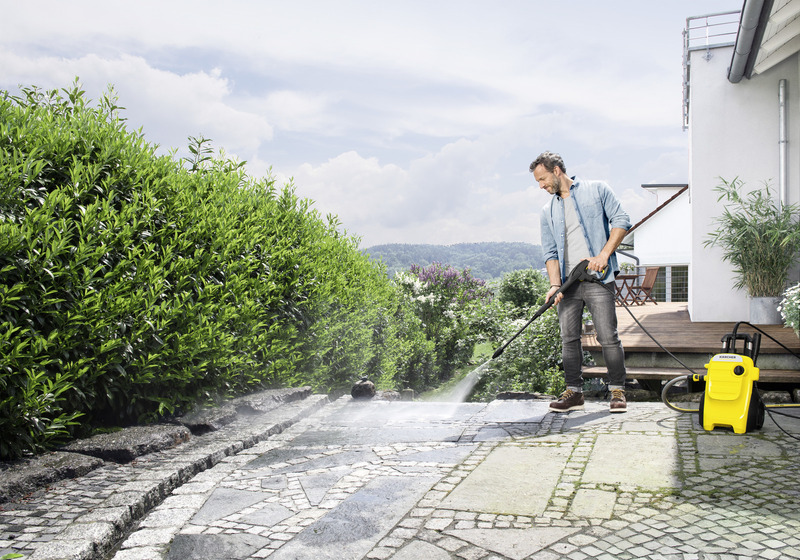 The Kärcher K 4 Compact pressure washer can make light work of even the biggest cleaning jobs. 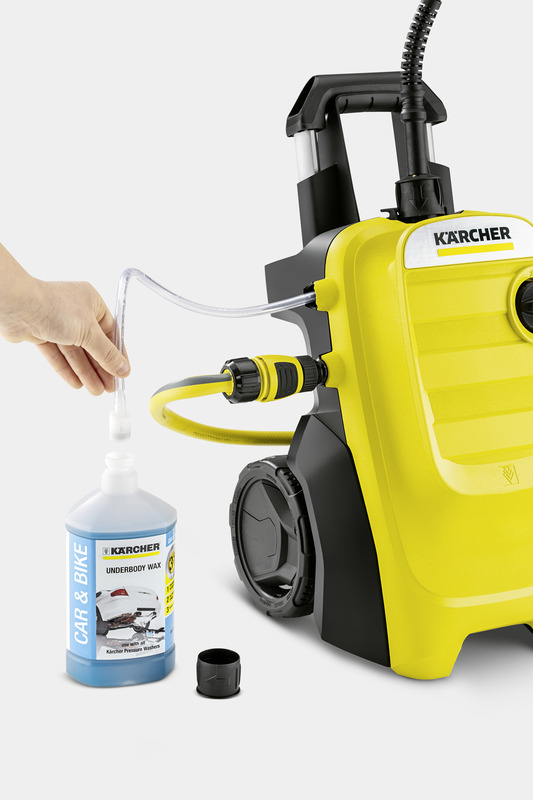 Whether you're looking to gently clean delicate paintwork on your car, or need to remove stubborn dirt from any hard surface, the K 4 Compact is up to the task. 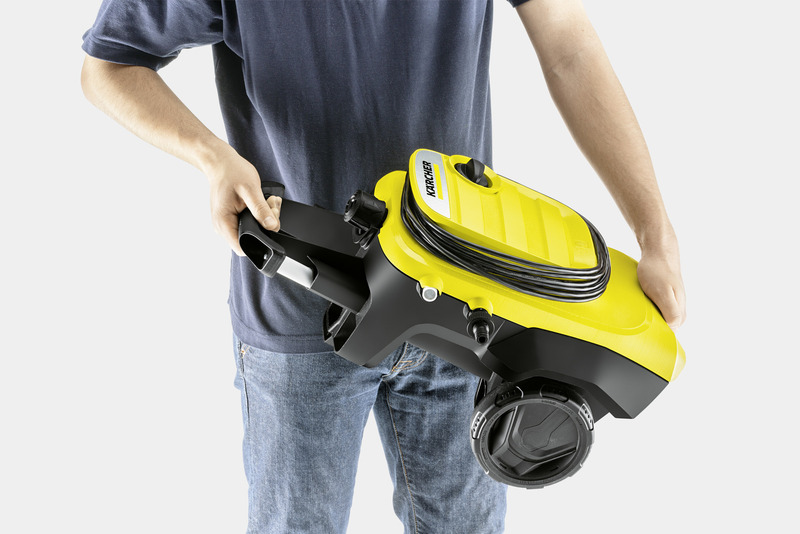 The unit is small enough to be stored in a shed or transported in the boot of the car, with a telescopic handle so it's easy to carry or wheel around, and on-board storage of the hose, cable and accessories. 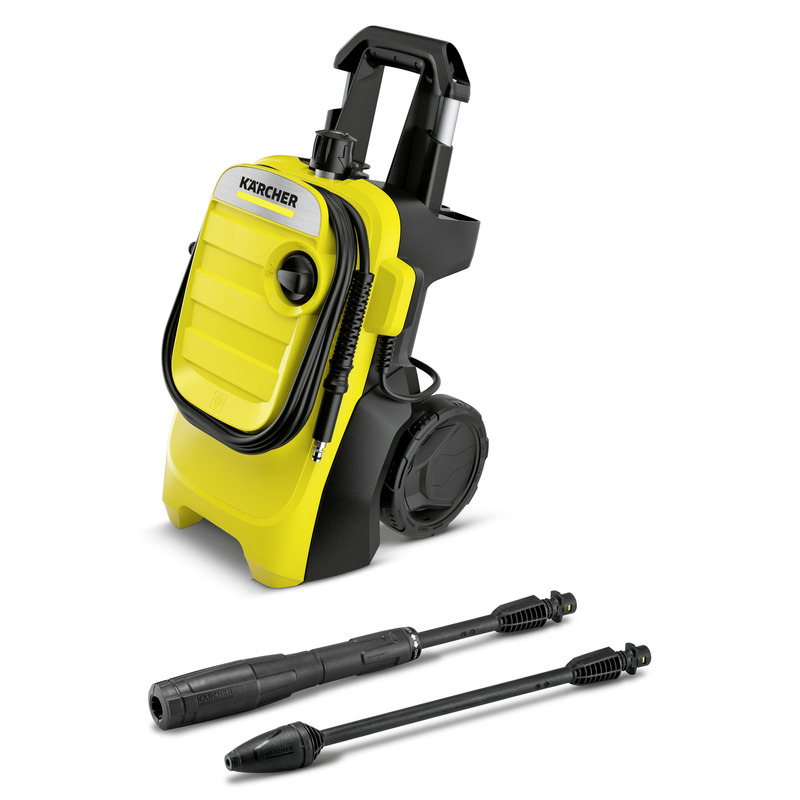 The K 4 Compact pressure washer comes with a trigger gun, a vario Power lance and a dirt blaster lance that delivers outstanding cleaning performance using concentrated rotating pressure. 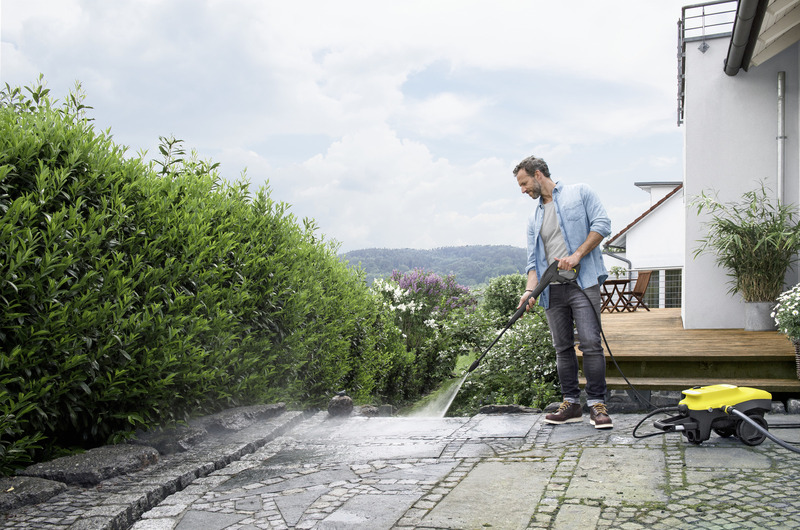 There’s also a 6m high pressure hose to give you plenty of reach, and a detergent suction feature for easy application of detergent while you're cleaning. 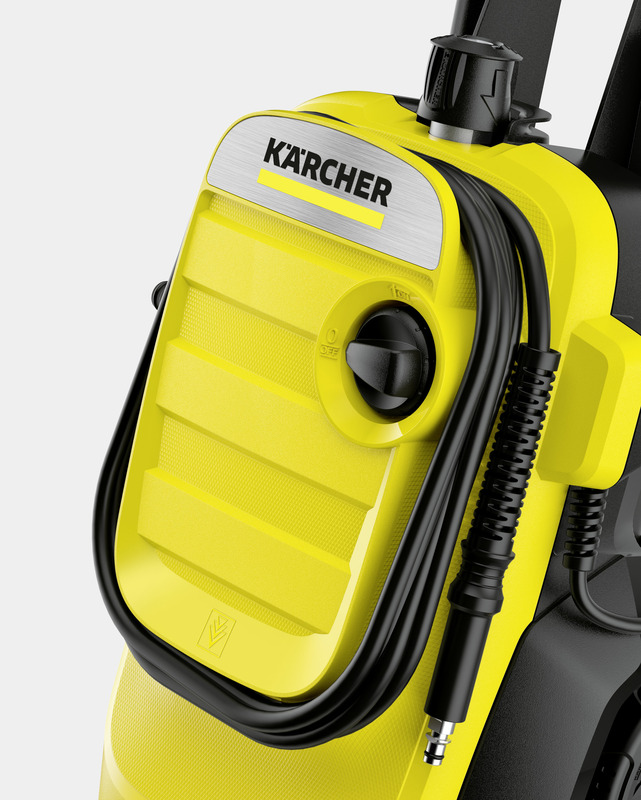 The state-of-the-art long-life water-cooled motor gives extra durability and outstanding performance, backed by the Kärcher 3 year guarantee. Convenient and space-saving accessory storage. 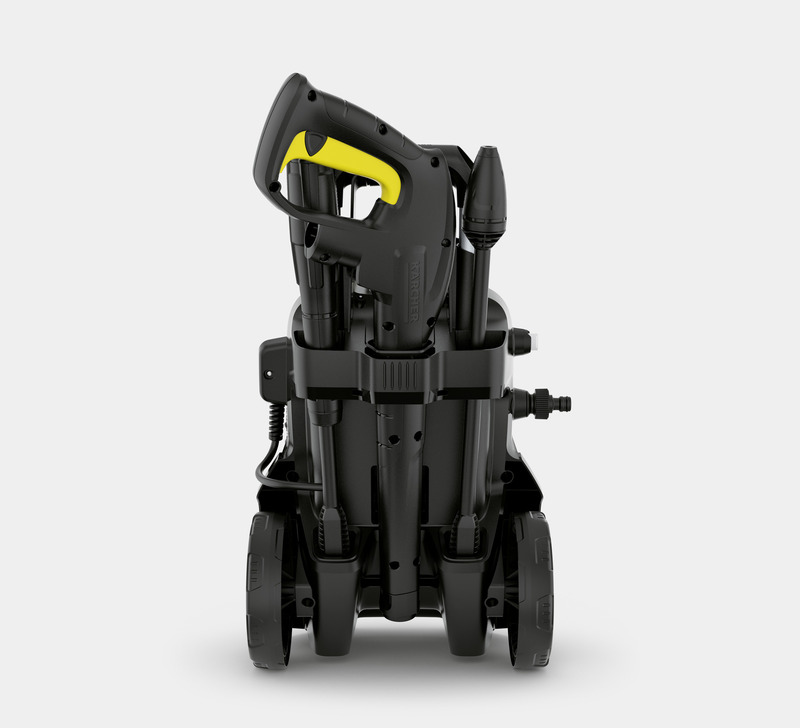 K 4 Compact is rated 3.7 out of 5 by 3. Rated 2 out of 5 by Zozo from Keeps cutting out I have only used the pressure washer once but not rushing to use it again. When it is running it does a fantastic job but it keeps cutting out every few minutes. I have to go back to the machine to turn it off and start it up again. Very laborious. Rated 4 out of 5 by Jan999 from Very Impressed Purchased to clean paving stones and paths, did an excellent job for me. Only one downside, I cannot get the detergent to go through the machine after following instructions. May have to contact Customer Services for guidance. That’s my only concern. 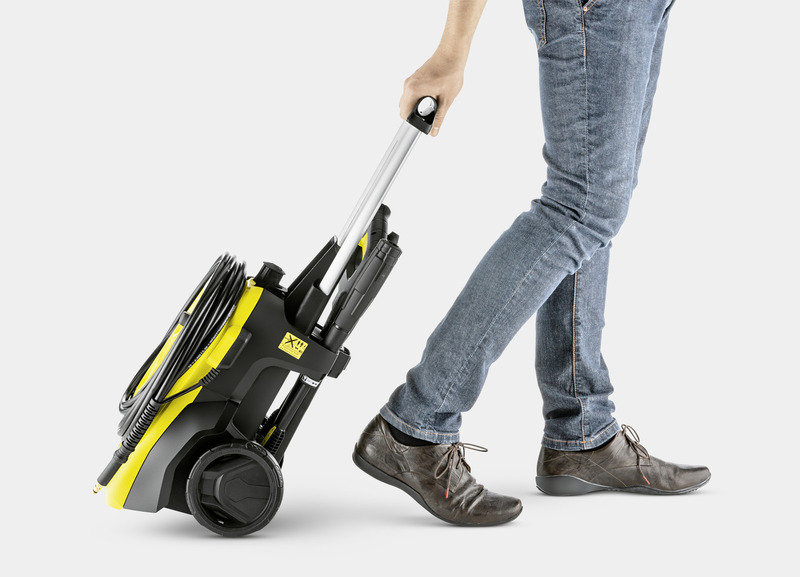 Rated 5 out of 5 by V3Roc from Great Machine Compact and powerful unit - please don't be fooled into cheaper models and led by the price - I did and took the other unit back after 5 minutes of use. The world says you pay for what you get !